The ornamentation in the Vestibule's ceiling includes mouldings copied from other parts of the Bank. 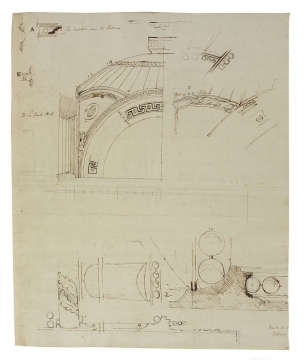 The design for the rosette in the soffit is a copy from the Bank Stock Office (built 1791-93). The ovolo moulding is copied from the Vestibule to the Rotunda (built 1791).